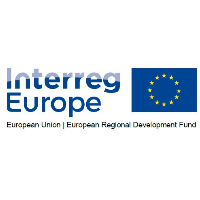 The European Commission has adopted the Interreg Europe Programme for interregional cooperation. The Programme is EU wide and includes the Norway and Switzerland, worth more than €359 million from the European Regional Development Fund (ERDF). The programme will focus on supporting the exchange of experience, the transfer of good practices, and joint initiatives among the regions. This first call for projects is expected to be launched over summer and is expected to close in the second half of 2015. Public partners will receive up to 85% of EU funding for their project activities, and the private sector up to 75%.